Maharaj Ji was born on 14th September 1908 in Madhya Pradesh. Swami Ji started the path of yoga at very early life in the age of 17. He attributed his good health to the efficacy of the practice of Sukshumavyayam Yoga, ancient regime that combined subtle yogic warm-up with gentle stretching, breathing, relaxation and simple exercises. Believe it or not even at this age, 106 years old, Swamiji’s faculties were still functioning at optimum level. He was a very good eye sight without the need of glasses and even healthier teeth. He was a living example for all of us today of the benefits of doing regular Yoga practice in life. Swami Ji did Hatha Yoga in Rishikesh as well as teached Sukshumavyayam Yoga to student at Om Shanti Om Yoga School every Sunday. Swami Yogananda Ji had never taken medication in his 106 years of life on earth. Physically he was very much fit and healthy, mentally alert as well, till the day he reached Maha Samadhi on 3rd January 2015. Yogi Dinesh Chander Ji, the Director of Om Shanti Om Yoga School, begin yoga at a very young age with 15 years of learning and teaching yoga experience in Ashram. Yogi Dinesh was born at Paonti Sirkhon Almora, Himalaya Hill into Brahmans Orthodox family. When he was 12 years old, he obtained his education in Hinduism in Rishikesh Ashram (Parmath Niketan and Sivananda) and Varanasi. He studied all the Mantras, Vedas, Sanskrit, Bhagavath Gita and in deep the Hindu tradition, yogi life and culture. He is the close disciple of his Guru, The Great Himalayan Yogi, Swami Yogananda Maharaj Ji and learned many types of Yoga from his beloved Guru. 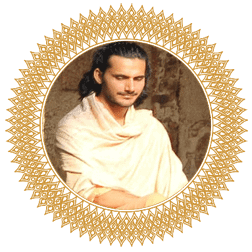 He has a Bachelor in Sanskrit and obtained the title of "Shastri" with Master in Sanskrit and Yoga and successfully obtained the title of “Yogacharya”. He is an experienced, loving, generous, friendly and humble natured person. He is well versed in Hatha, Ashtanga, Vinyasa, Sivananda, Sukshma Vyayama and Laughter Yoga. He learned many types of yoga from his Guru. His future aspiration is to open his own ashram in the near future with capacity of 50-100 students. Yogi Dinesh has been traveling to many countries such as Russia, Europe, China, Indonesia, Thailand, Hong Kong, Japan and USA to give yoga courses. He is a qualified experienced Yoga Teacher registered with Yoga Alliance USA with e-RYT200 and e-RYT500. Yogi Yogendra Mishra Ji hold master degree in Philosophy M.A. (Philosophy) from Agra University. He also has D.Y.Ed. Kaivalyadham and B.P.Ed. from Amaravathi University. He is a Yogi with more than 25 years of experience in Yoga and meditation. He has taught Yoga in many countries around the world. We proudly convey this message that Acharya Yogi Yogendra Mishra Ji has founded the International Yoga and Mediation Academy as well as acting as an advisor for many institutions around the world. He is usually invited with special invitation by Yoga Centre operator in overseas. "I was so sad for losing my shoes,until I found a man without feet." 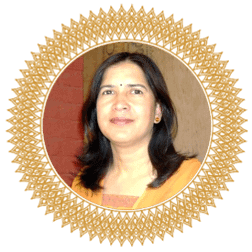 Dr. Usha Vaishnava Having Studied disciplines in Ayurveda & Herbal Medicine, She had completed her 5 1/2 years recognized B.A.M.S. an internationally recognized degree in Ayurveda from famed 150 years old Ayurveda University in India. Then she specialized in Panchakarma Therapy at world recognized Arya Vaidya Sala, Kottakkal (Kerala). For the last 14 years she is engaged in Ayurvada Treatment, Teaching and Training students for Ayurvedic Massages and Dietery. She also has her own clinic in Tapovan for giving Ayurvedic Treatment, Massages, Panchakarma, Nutritional advices and other personal / private consultation. She is a special guest doctor for Om Shanti Om Yoga School. 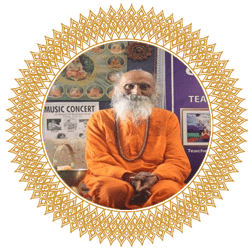 Spending his life in the field of yoga, Yogi Vivek, is considered to be the best teacher of Hatha Yoga, Raja Yoga, Swara yoga and Human Anatomy. 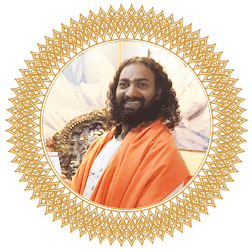 Seeking knowledge under the guidance of renowned yogis and acharyas, he has done his masters in yoga and psychology and currently pursuing Ph.D. in yoga itself. 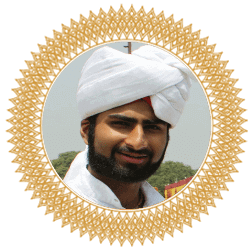 Naturopathy, Pranic healing methods and acupressure are some of the other methods he has received his education in. His thirst of wisdom has made him quite knowledgeable in philosophies of many religions and believes in religions like Buddhism, Jainism and Sufism. From North India to Himalayas, he as drank waters of various spiritual fountains for 15 years to be able to be so proclaimed as a yogi. In 2002, he took a step further and went to Himalayas to find meaning to his practice. With a notion of serving God is to serve the human race, he now a yoga teacher truly dedicated to the world of yoga. Swami Amarna Ji has done Osho Meditation Training Course in "OSHO INTERNATIONAL MEDITATION RESORT"in Pune, Maharashtra (India). He has well versed experienced in a different level of Osho Meditations and has been teaching many years in almost all the places all over India. Swami Amarna goes on felicitating, sharing Osho Meditation, Osho Visions too. Currently, he is residing in Rishikesh and continues serving and sharing his knowledge & experience from his Sadguru "OSHO" or Bhagwan Shree Rajneesh to the students from all over the world. Students really meditate, enjoy & Celebrate his classes the playful way of teaching and performing Scientifically & Spiritually which in tally with modern world and needs. Yogi Jitendra Kumar Ji was born and brought up in Maharishi Jamadagni Tapasthali in Himachal Pradesh. In young age, he was interested and educated in fine Arts and obtained Diploma in Fine Arts. Later he continued his study in a holy city situated at the foothills of Himalaya and obtained Master in Yoga. In his life journey, later he found Swami Vishwaroopananda and surrendered himself his teachings and perfected himself in yogic discipline at Sivananda Ashram Rishikesh which made him as a professional teacher of ancient Hatha Yoga, Shatkarma. There he did a certificate course in Vedanta, Philosophy, Sanskrit and Yoga from Academy Sivananda Ashram Rishikesh, flowing instructions of his Guru, he conducted Yoga Teachers Trainings and various intensive course of Asana, Pranayama, Meditation, Kriyas for foreign students in Om Shanti Om Yoga School today for Yoga TTC. 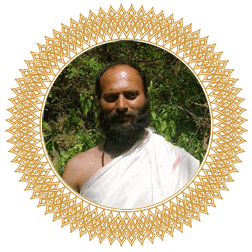 He is living in simple life in Bhagirathi Ashram in Laxman Jhula as one of a kind of true yogi. Yogi Kamal Ji was born in family with deep knowledge of Sanskrit and ancient texts, so study of Vedic and other ancient text was part of his yogic education since childhood. Further you will learn about his achievements in Yoga study. He did 1 year training course in naturopathy at National Institute of Naturopathy (Department of Ayush Ministry of Health and Family Welfare, Government of India) in 2006. He obtained bachelor degree in Physical Education (B.P.Ed.) from Barkatullah university, Bhopal in the year 2007. He attained Master of Science in Yoga from Uttarakhand Sanskrit University in Haridwar in 2010. In 2002, Kamal participated in all-India Inter-university Yogasana Championship held at North Gujarat University, Patan. In 2008, he co-founded International Free Yoga and Music Festival that lasted till 2014. 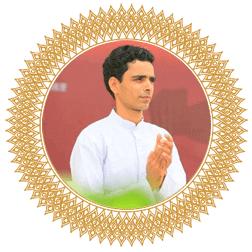 He is professional teacher of ancient hatha yoga, and shatkarma section. His compassion towards all living beings and non-fading cheerfullness combined with routine yoga practice make him one of a kind, true yogi. M. E. Kannan Ji who is well knowledgeable in Anatomy and Physiology, proud to say that he is originally from South India, Tamil Nadu. 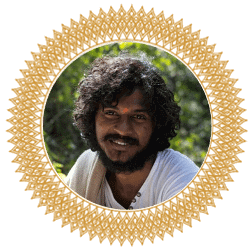 He has spent the past 8 years in practicing and teaching Ayurveda & Varma/Marma Therapy which he gathered from traditional practitioners of Tamil Nadu & Kerala. He teaches Anatomy and Physiology in such a way that, it combines modern anatomy with yogic principles to live an independent healthy life. He is also mastered in Classical Indian Martial Arts "Kalaripayattu" which is very ancient and dynamic form of yoga which is famous in Kerala, India. In aiming to excel in the field of Yoga & Health, Mrityunjay had completed his study Master of Science (M.Sc.) specifically in Yogic Science and Holistic Health, Bechelor of Science (B.Sc.) in Yoga & Computer Science from Dev Sanskriti Vishwavidhyalaya, Haridwar, Uttarakhand. He also studied about Nutrition and Health Education and obtained in Yoga. He also has conducted programs on Stress Management and Life Modification, Marma Therapy, Workshop on Awareness and Motivational Program, First-Aid Certification from Red Cross Society and as well as in Physiotherapy. He is teaching Yoga Philosophy and Yoga Anatomy for Yoga Teacher Training Course Student at Om Shanti Om Yoga School.